It seems that Limit faction transfer was a one-time deal, as the Alliance no longer gets the Against Overwhelming Odds quest, since they haven't been quite as severely outnumbered since last week (at least on US servers). There's still a buff for the Alliance side, but it's also been reduced to 15% (down from 30%), as it seems a whole lot off Alliance players turned on War Mode last week to get that sweet loot. We'll see what happens in the EU region tomorrow, but presumably it will be the same thing. So, what do you think of this method of balance for any potential faction disparity? Is this going to cause a bit of a yo-yo effect, with the buff going up and down (presumably Horde won't be seeing it at all any time soon)? First of all I'm LOL'ing that the freebie one time quest has now been removed. As a Horde player I will never see a quest like this to ever appear for me to complete....I will be stuck with my weekly kill 10 at 'X' location with minuscule reward. It's still not going to fix and balance faction disparity. 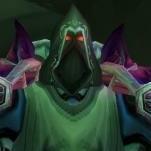 Nor is the current buff going to urge players, as an incentive for resource/ap gain, to go back to Warmode either. But I am interested in this "move up 3 spaces then go back 2" that Blizzard has done. You know what would be terrible if a faction lock got set into place where some of these Guilds could not faction change back right before the start of the Mythic Race. Or worse only a handful could change back. Well, yeah it has worked as intended, of course. But it's such a brainless incentive. Warmode on, Kill 25 Horde players, Warmode off. I NEVER used Warmode outside of this quest. I never cared about the bonus Horde got. I said thanks for the items and vanished. I often wrote: Blizzard is just fighting the effects and not the root of problems. And they will do it over and over again...seems to be their credo *shrug*. Warmode on, Kill 25 Horde players, Warmode off. I only turn it on when I'm looking for a fight. When I'm doing WQ, bosses, rares, and I'm looking to just get stuff done, I'm /pvp but not WM. Once I have that out of the way, then I'll engage WM and go see what loser is pestering Goldshire, or go looking for groups on the hunt. Otherwise, even 30% bonus to AP isn't worth completing the quest 200-500% slower because Horde crawl like a continuous virus across all WQ areas and I'm not interested in grouping for easy content. Thanks for the 400 gear though, Blizz. Was an easy few minutes of carnage. For what it is worth, I see both sides engaging in small scale (up to 5 on each side) PvP regularly now and never took War Mode off because even if you lose more time, 30% or 20% boost to resource collection is really nice!